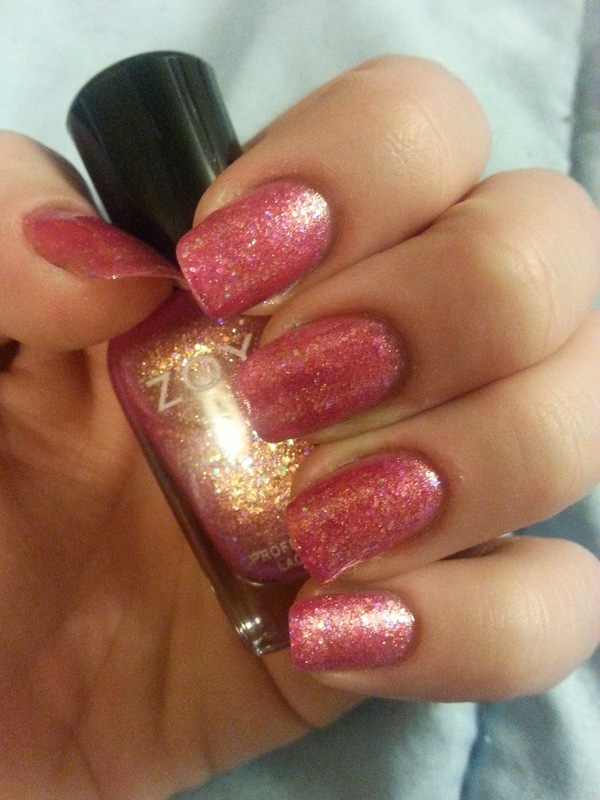 Hello everyone :) I have a swatch for you this evening from the beautiful Zoya Bubbly collection. 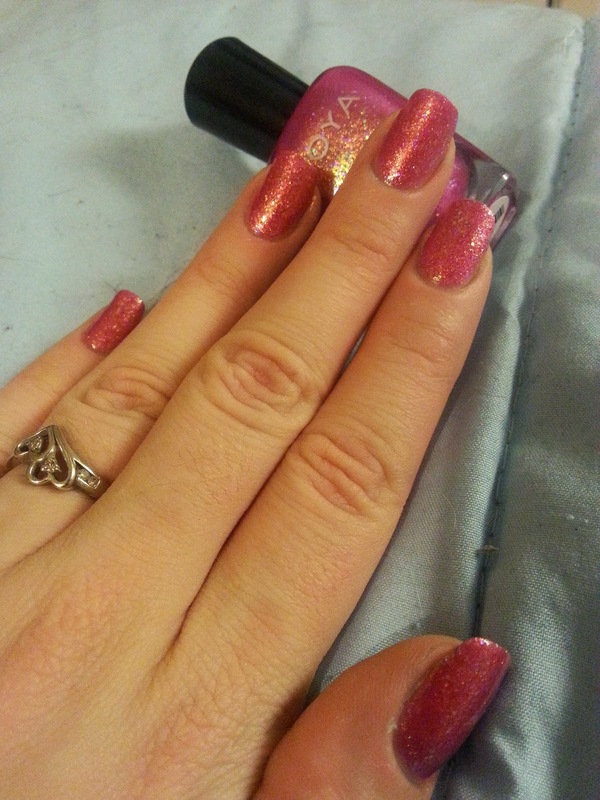 The shade is called Binx and it is a lovely pink tone with some gold touches and holo flecks throughout. For these swatches I applied four thin coats just to get the maximum degree of sparkle possible, however two to three thin coats is more than enough for full nail coverage. 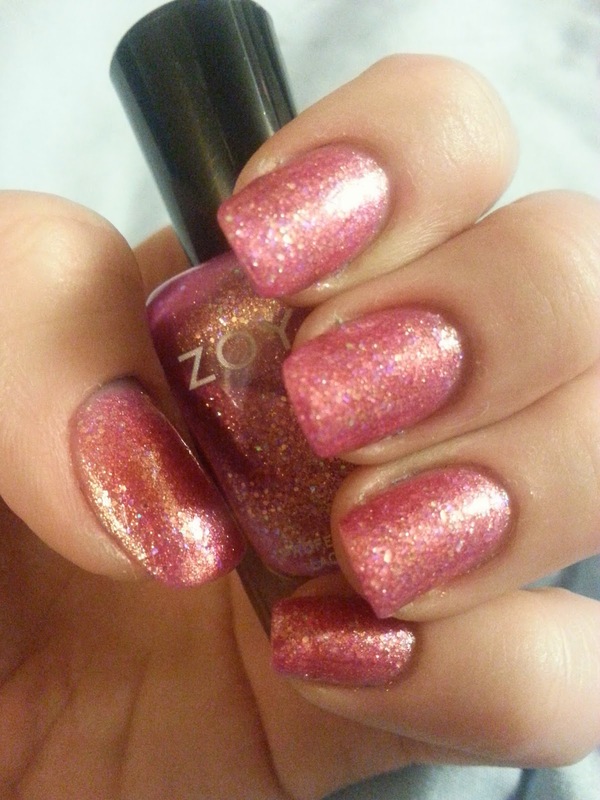 If you are familiar with any Magical Pixie polishes from Zoya the formula for the Bubbly collection is thinner by comparison and dries to a smoother texture. 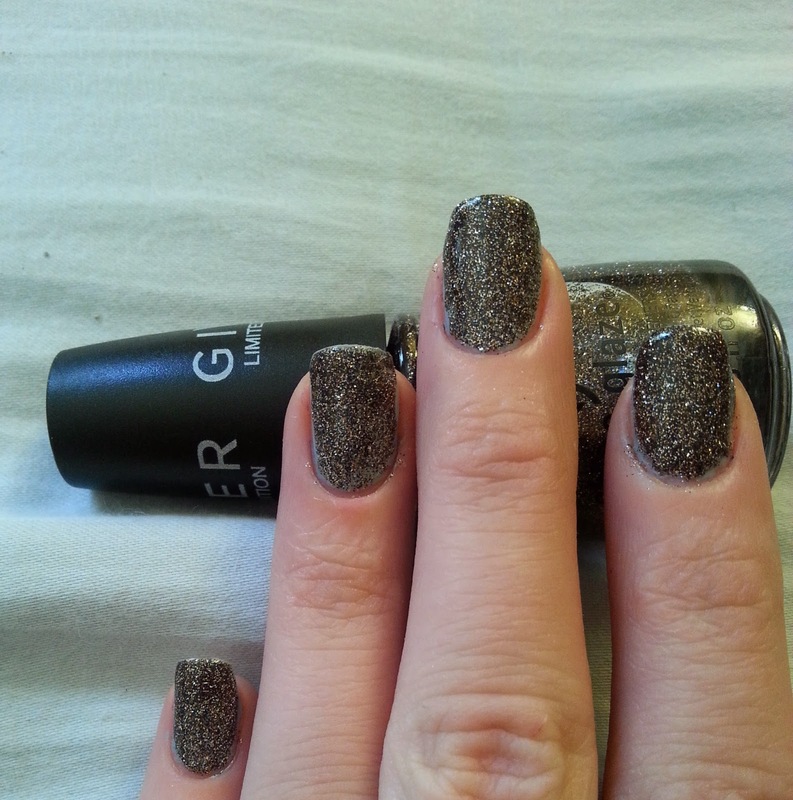 Binx applies easily and evenly to the nail and the glitter applies very evenly as well. This color is buildable and becomes more and more vivid with the application of additional coats. Now some swatches for you! Thanks for checking it out guys:) Don't forget to subscribe and follow me on social media if you want to see new posts as they happens. Hey guys! 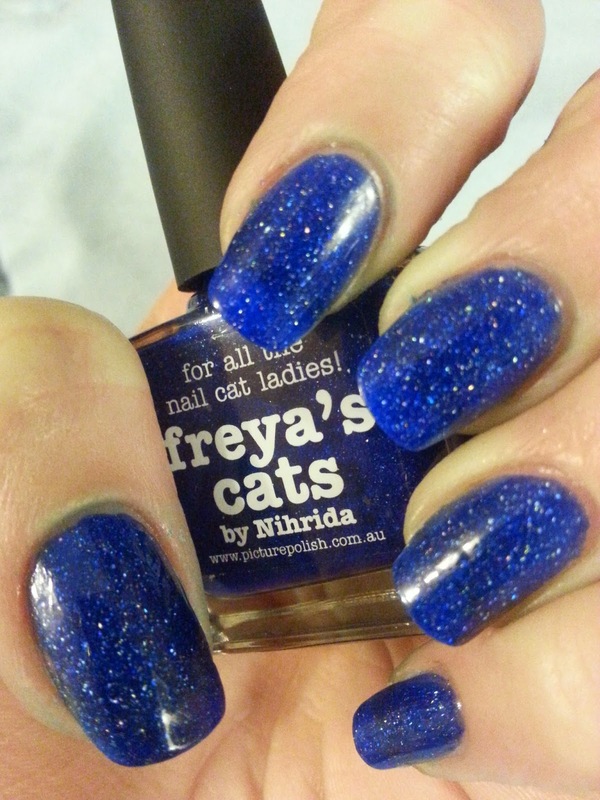 So today I have a swatch of a fab Color called Freya's Cats by piCture pOlish. 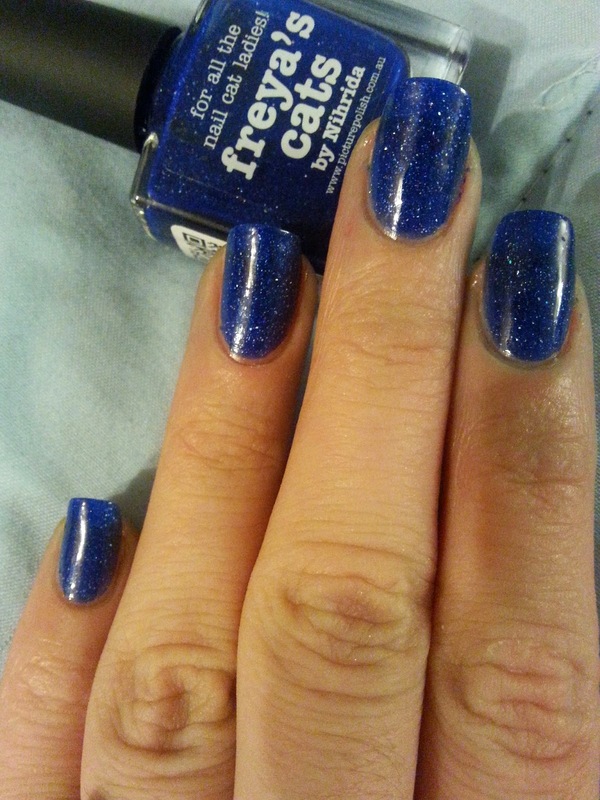 This polish is a deep lovely blue with scattered holo glitter throughout. 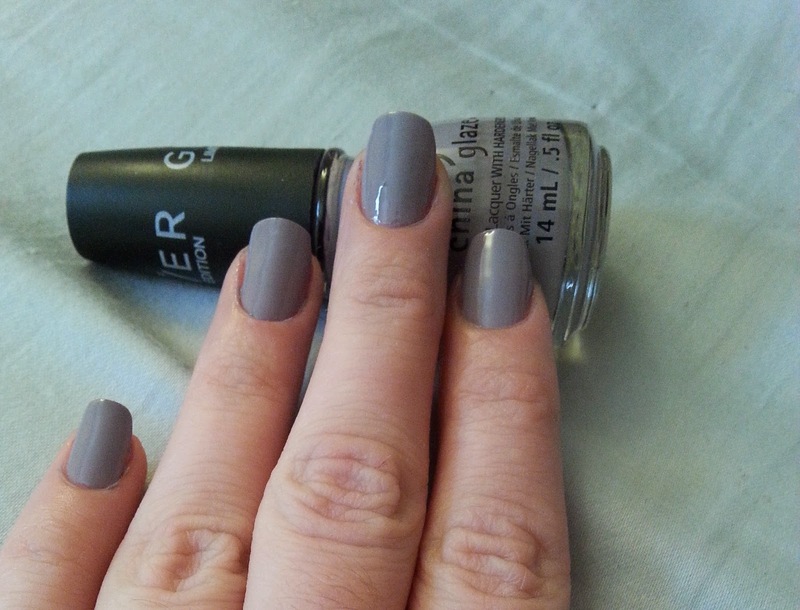 The formula goes on very smoothly and I attained full coverage in two coats. 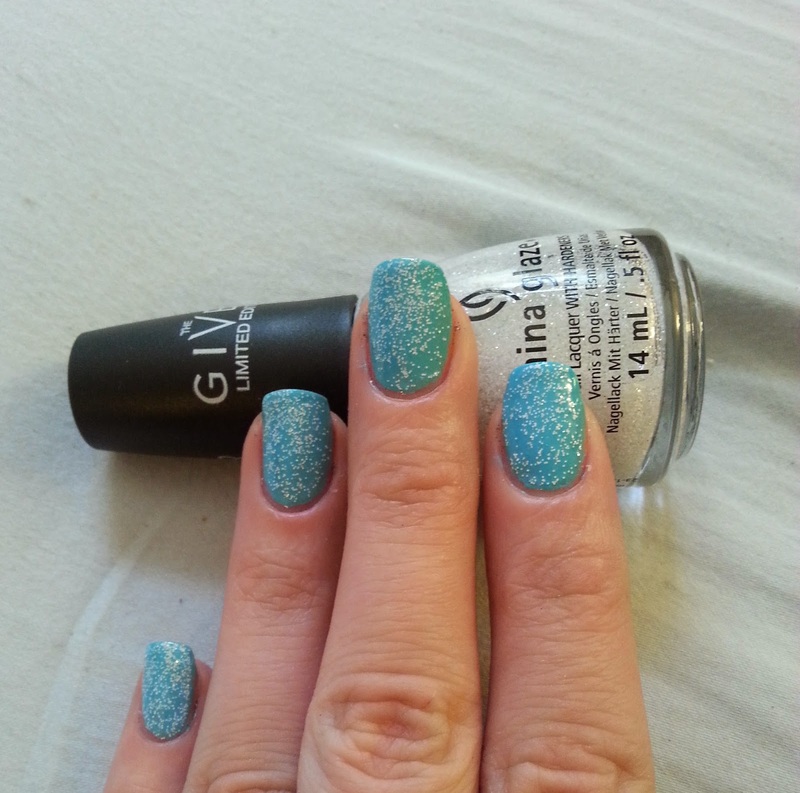 The formula isn'tthick or gfloppy though so if you wanted to do three coats it would look great to. As usual with piCture pOlish I was not disappointed. 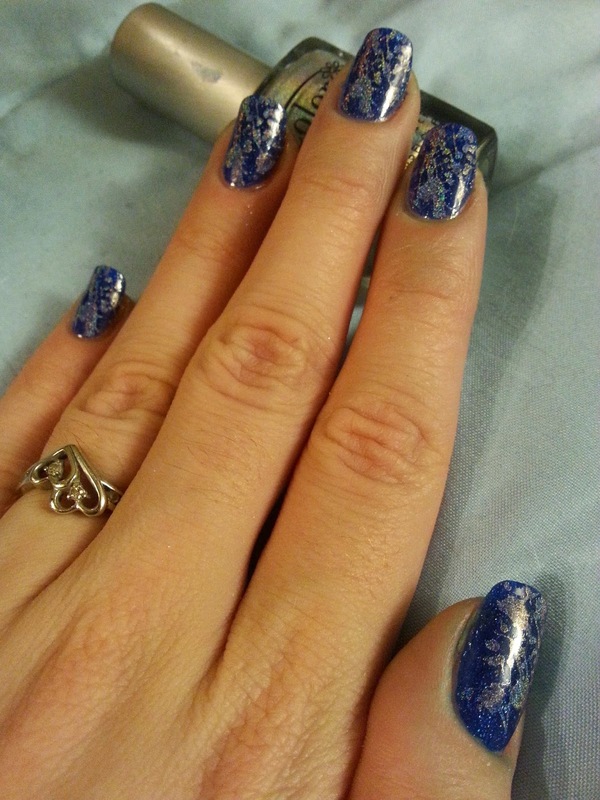 I love this polish and am going to do a Mani with it right now! Over time it will become apparent to you exactly how much I adore glitter. 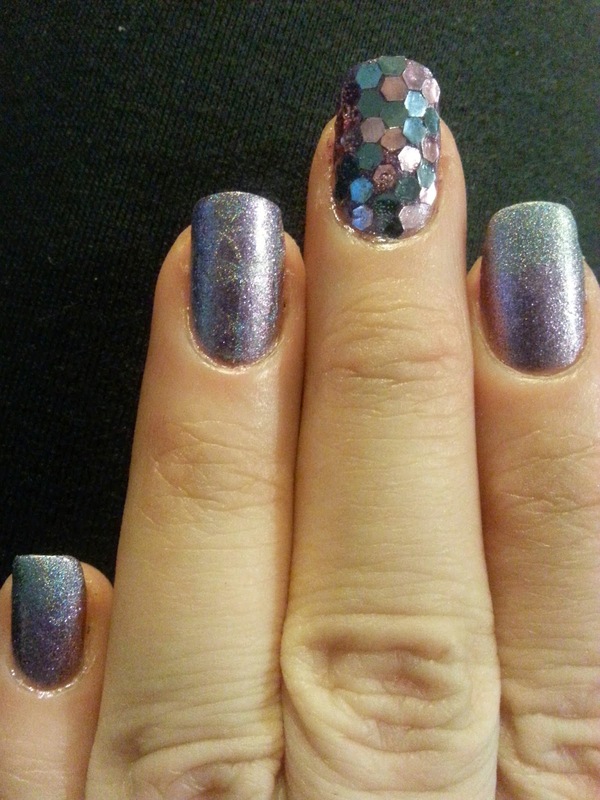 Therefore hand placed glitter manis are right up my alley. 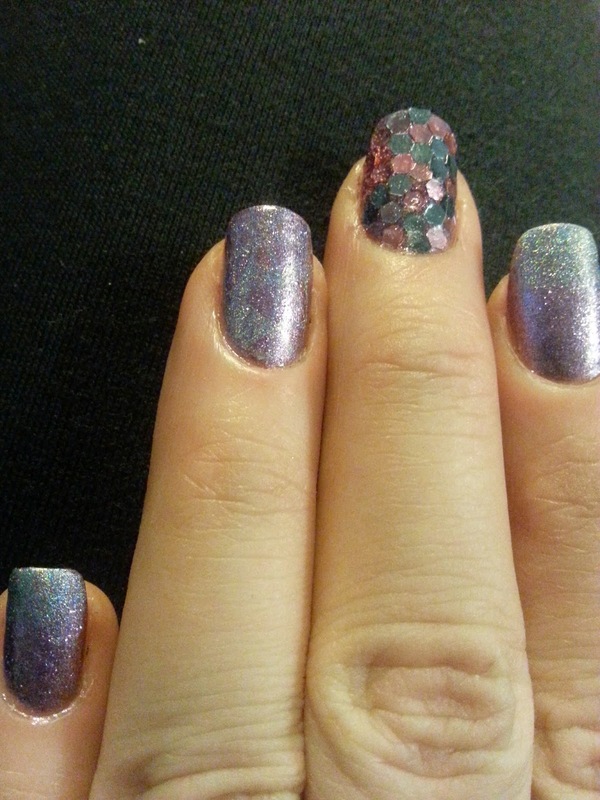 In this manicure have used a bundle monster stamping plate, Zoya Rea, Orly Pixie Powder, and Color Club Angel Kiss along with some random hexagonal glitter I purchased from Amazon. 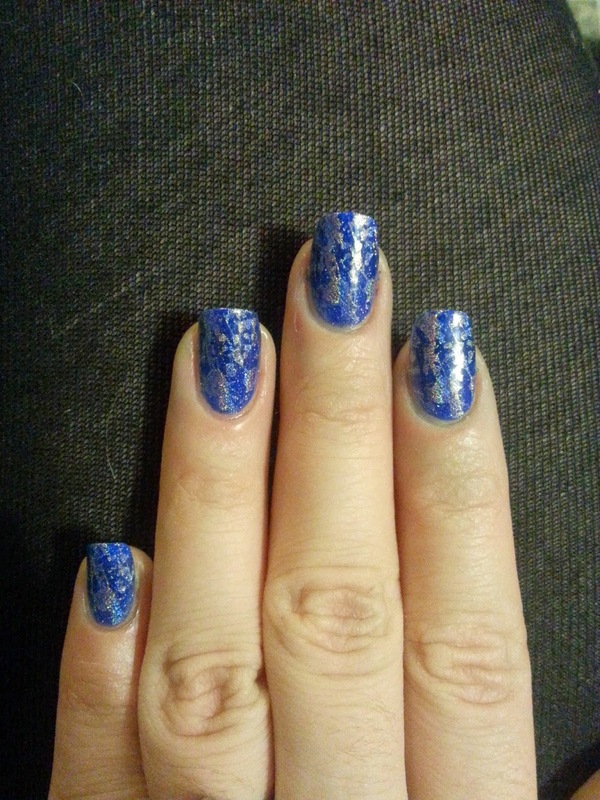 The first two images are without flash and more accurately reflect the polish colors. 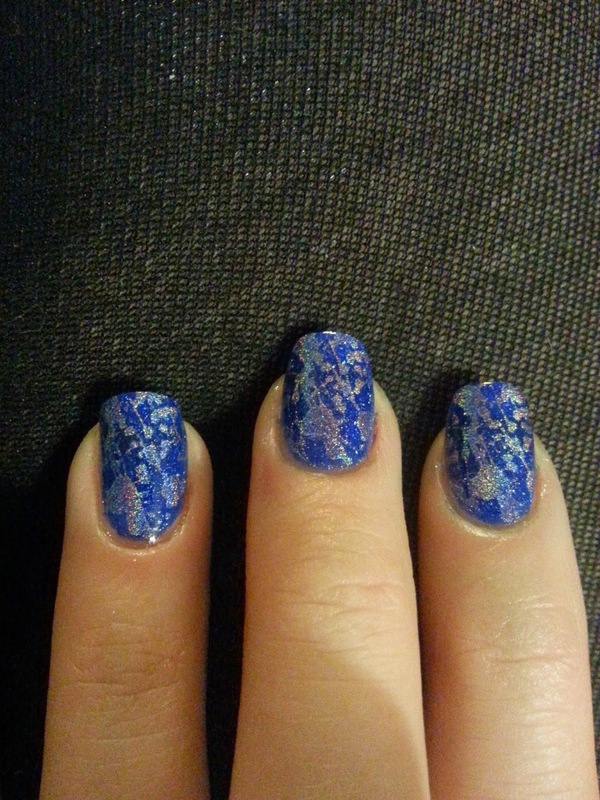 The third image had flash to show more of the subtle holo stamp and gradient. Hey all! 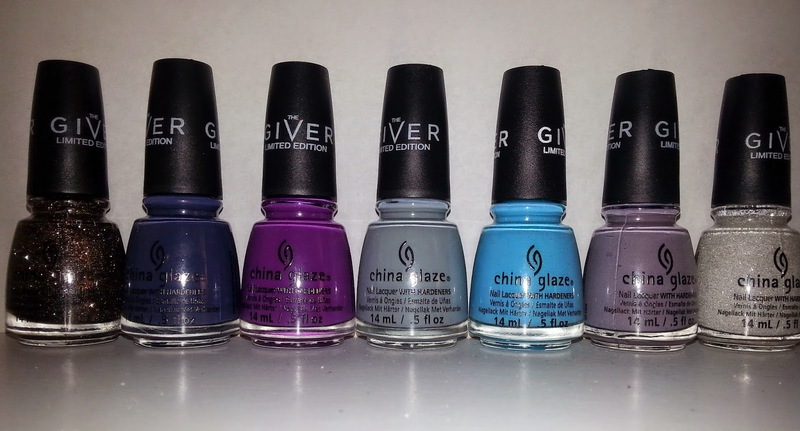 So, I am really excited and happy to present you with a swatch and review post of a new China Glaze collection inspired by The Giver which as you all probably know is a novel and now a new movie. I as so pumped for this collection because not only am I a nail polish junkie, but I am a huge fan of the novel and am excited to see the new movie as well. So without further ado lets meet the shades. Keep in mind that this is not the whole collection, I didn't but the couple that wouldn't have gone well with my skin tone. From left to right they are boundary of memory, history of the world, givers theme, intelligence integrity and courage, capacity to see beyond, release, and the outer edge.Most of the shades which I picked are high gloss creme polishes. 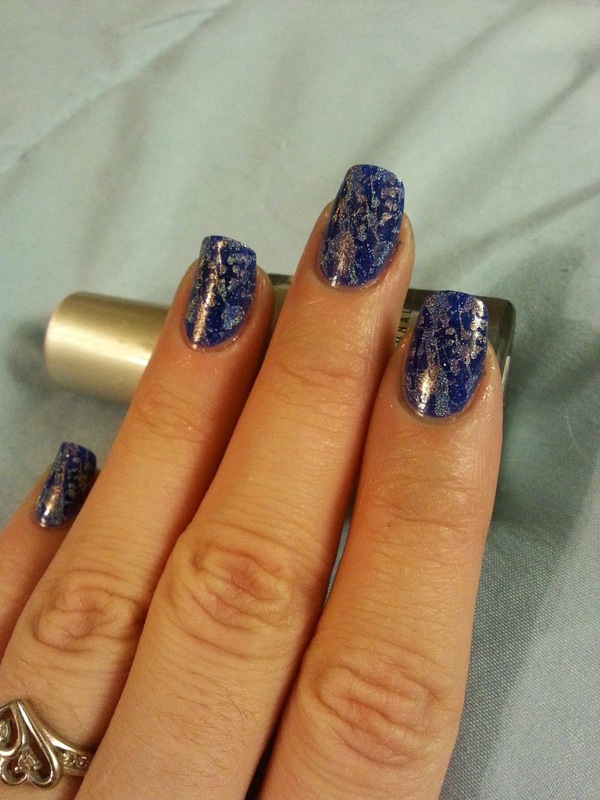 In my swatch photos you will notice how glossy they are without a top coat even having been applied. 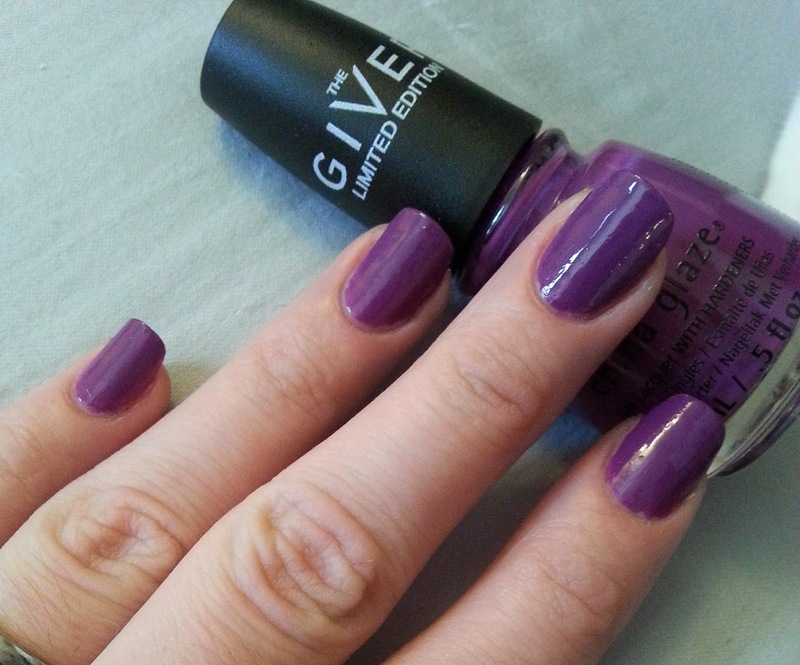 Givers theme is a bright purple / plum tone with high opacity. 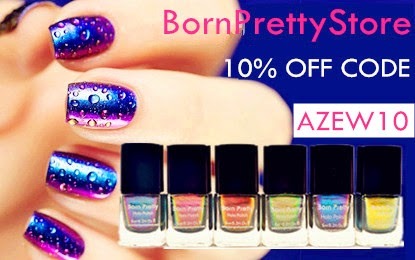 You only need one to two coats to fully saturate the nail with color. This is one of the most vibrant shades in the collection. History of the world is a deep deep violet polish which might at first glace in bottle seem a little bland but when applied it really pops against your skin and looks absolutely gorgeous. Release is a very neutral and very subtly purple shade. 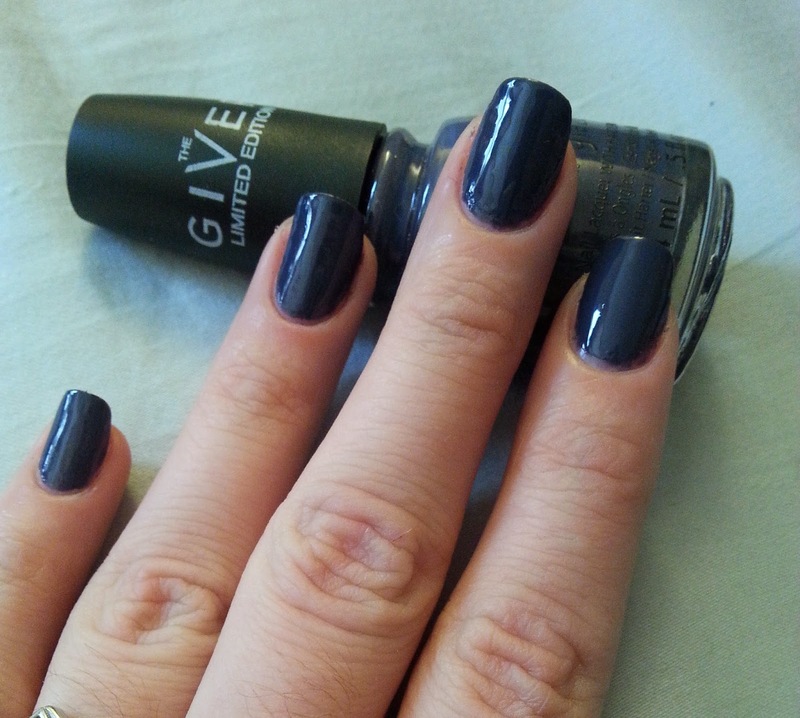 I find this particular shade very relaxing and smokey as if just coming into color. 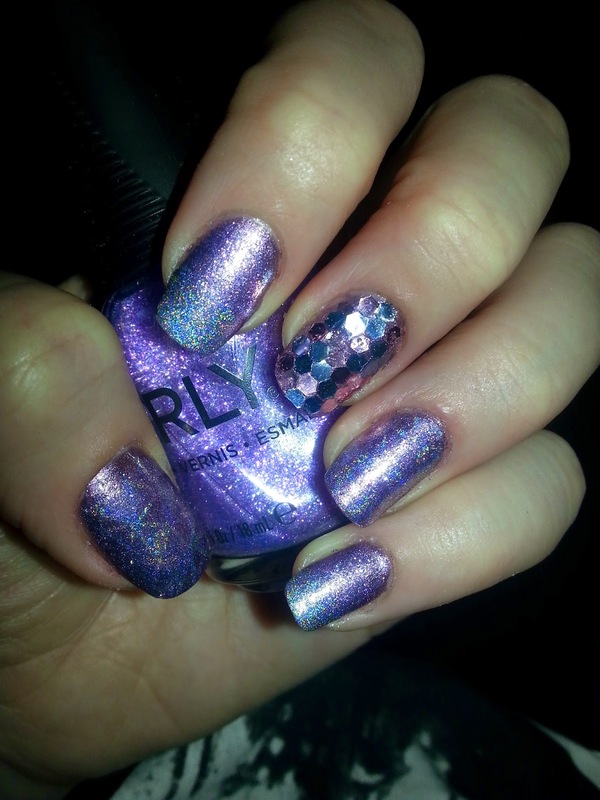 It works well in combination with all the other bolder purples in the collection as well as with all the glitters. Intelligence, integrity and courage is a faintly blue tinted grey polish. 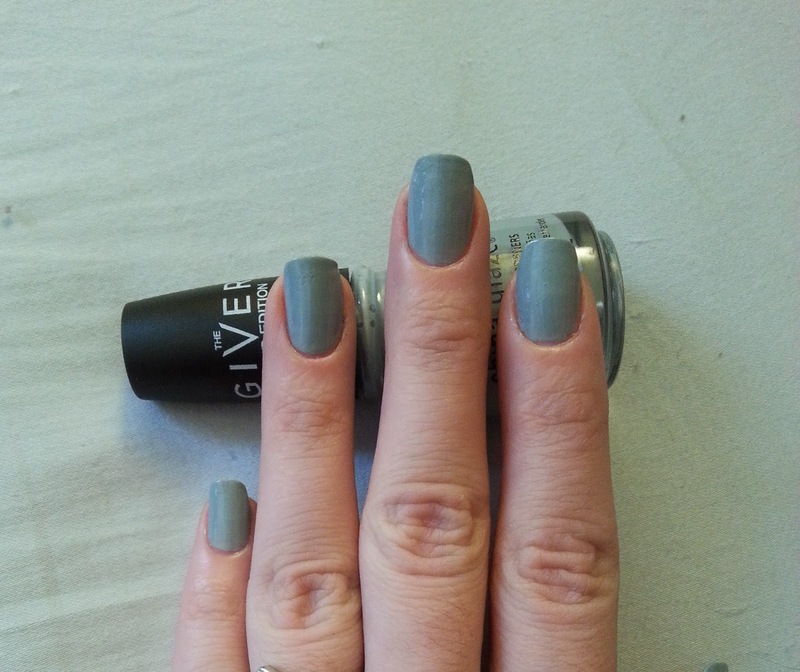 In color on the nail it reminded me a lot of Chinchilly by Essie but slightly more blue grey. Even though this color is not as vibrant, I understand the place it holds in the Giver collection based on the inspiration source material and find it to be a lovely fall shade. I've worn it more than once since its purchase. Capacity to see beyond is another of the most vibrant shades in the collection. 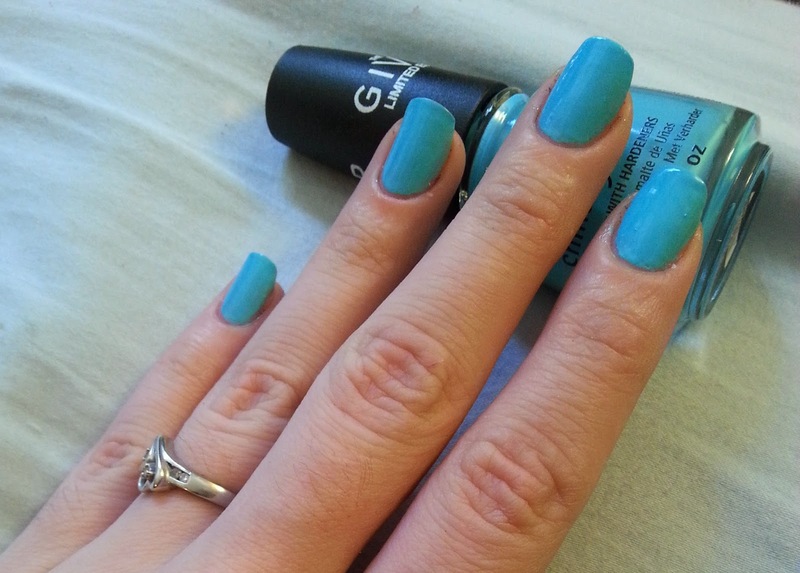 It is an amazing sky / robins egg blue color and it is so highly pigmented I barely even needed a second coat for this one. It's one of my favorites. 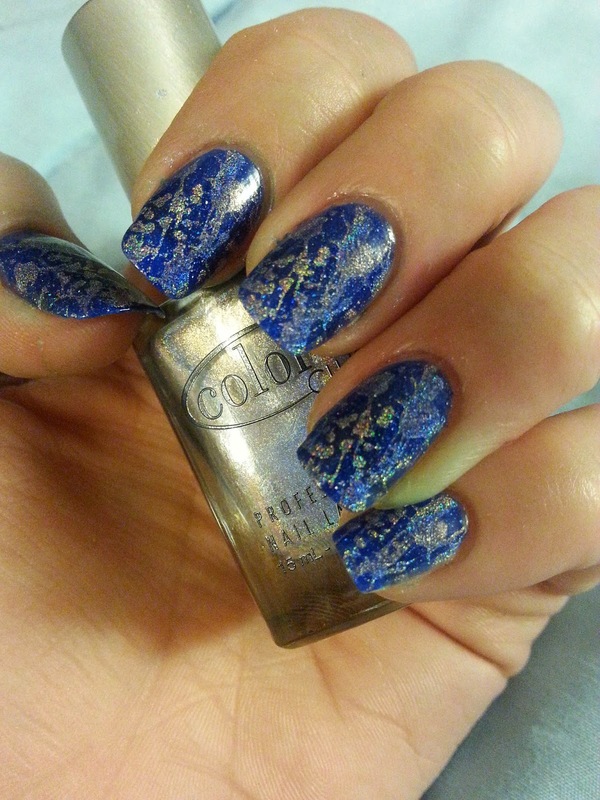 Boundary of memory is a glitter packed wonderland of a polish. It looks like metal dust mixed with a scrambled cable channel. The glitter fragments are so packed into this polish that this is only one coat of boundary of memory swatched over intelligence, integrity, and courage. 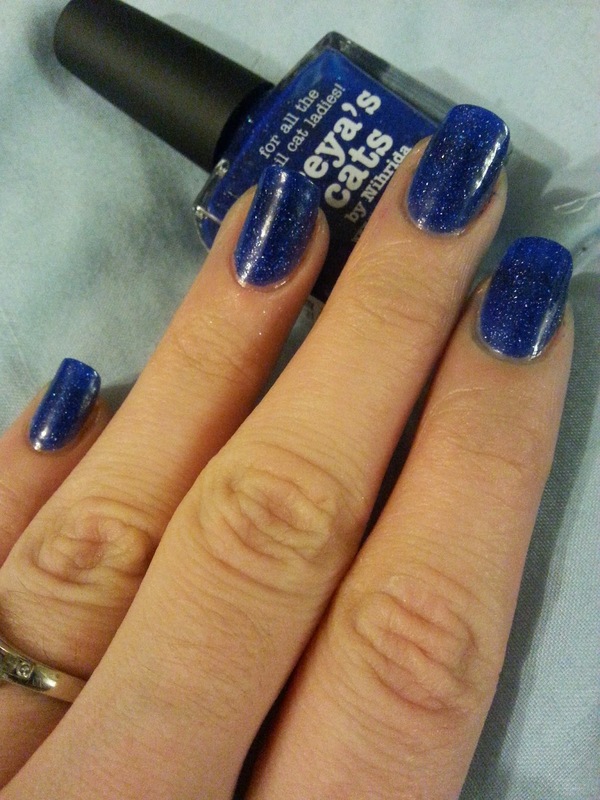 The outer edge is basically like a snowstorm in a bottle of nail polish. I swatched it over capacity to see beyond because I really like the way these two compliment eachother. This is one coat of The outer edge. It is less closely packed with flecks than Boundary of memory but still maintains enough flecks per brush stroke to not require multiple coats to look smooth and even. All in all I'm a big fan of this collection. I know all the colors aren't vibrant but it's obviously deliberate if you are familiar with the subject matter inspiring the collection (and if you aren't I won't spoil it for you :P) I think that even though a few of the colors are quite vibrant that you could seamlessly wear them all throughout the fall and winter and still avoid color clashing or having them look out of place with your wardrobe for the season at hand.